Royalty Webdesign implements ​​professional software for agencies in European Union and Australia. Our software company has worked so far with companies from Germany, Austria, Spain, Italy, Hungary and Romania. Business softwares developed by our team can be used for transport companies and tourism agencies, distribution firms, real estate agencies, construction companies, restaurants, hotels, shops and medical offices. Any company can benefit from a custom management software regardless of industry, and regardless of the complexity of the project required. Business management software or software as it is often called uses databases and can be accessed on the Internet on an unlimited number of workstations by an unlimited number of users. The purpose of a custom software is to increase the efficiency of economic and accounting, through ease of use and speed of the processing information. A professional business software will help you to store and collate data, to control the activities of employees and the company's clients, watch production and sales situation, view reports and statistics on revenues, profits and financial condition of the company. Wether is a complex website or a complex management program our company software will be designed by the best specialists in the field of programming. To get a business class custom software you must rely on a professional team. Royalty has vast experience and an impressive portfolio in the delivery of software programs. For this reason we strongly recommend our services and offer free advice to obtain a successful project. 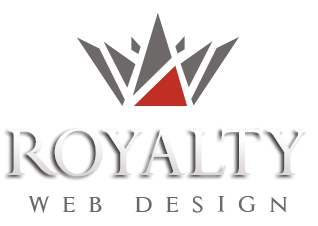 Royalty Webdesign in Timisoara, Romania has achieved so far numerous control software, billing software and business software.